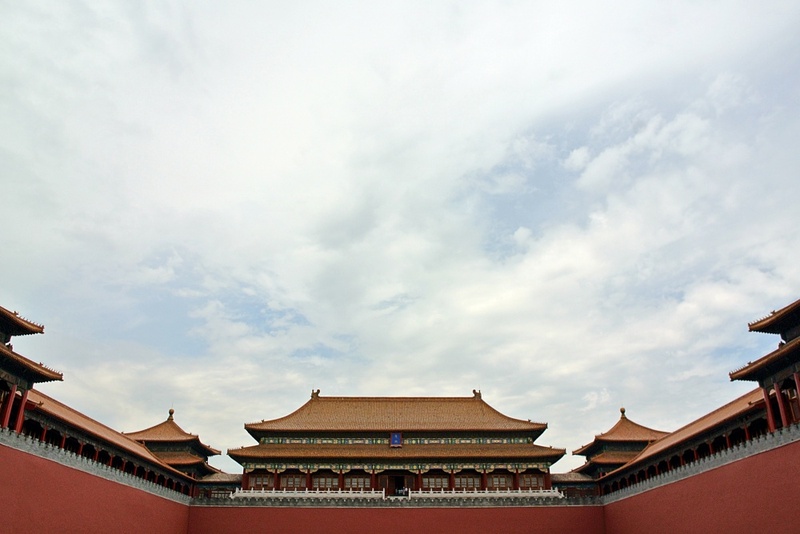 Beijing’s Forbidden City is perhaps China’s most famous ancient museum, second to the impressive Great Wall as tourists’ attractions. We were warned of the crowds and unlike other iconic landmarks around the world, in China, local attractions attract the local crowd. 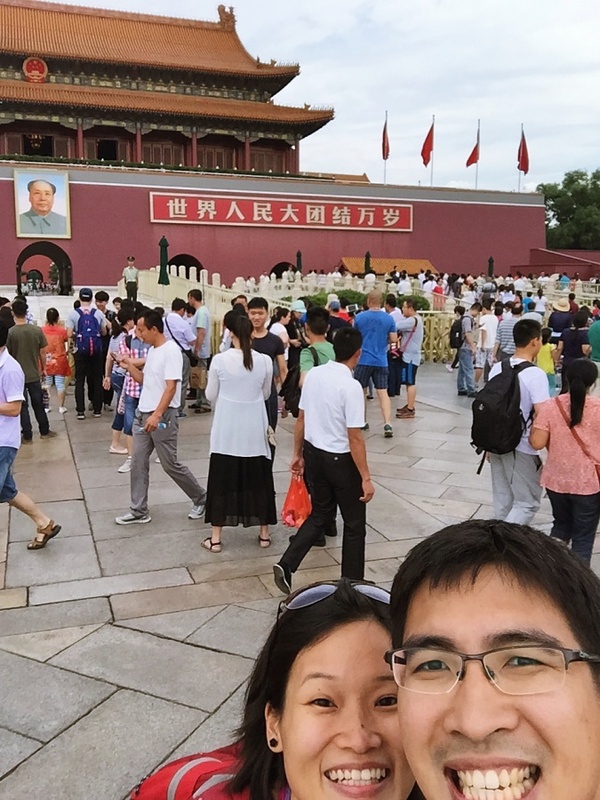 So when we got to Tiananmen Square on a Sunday morning, we were met with an endless sea of people – mostly Chinese. The sprawling Square is the world’s largest, approximately 99 acres and is surprisingly devoid of trees, benches or sitting areas. 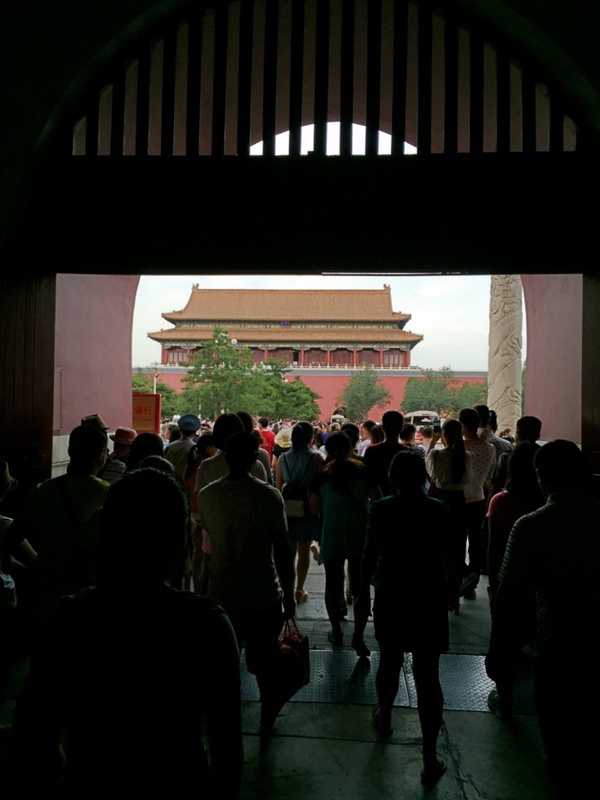 Tiananmen Square was just a glimpse of the expanse within the Forbidden City and it entailed a LOT of walking. 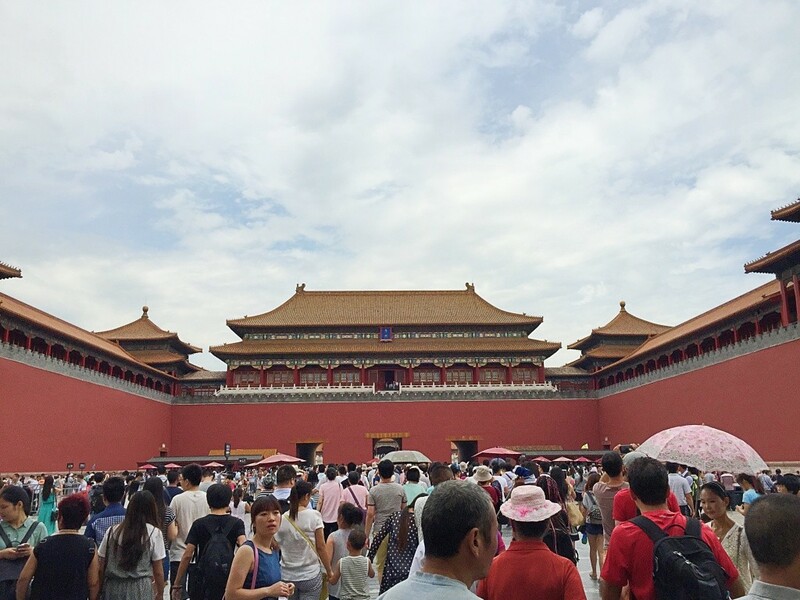 If you’re in Beijing during summer, bring lots of water to keep hydrated, snacks to satisfy the hunger pangs and cover for shade – either a cap or umbrella – the heat coupled with humidity can be very draining. 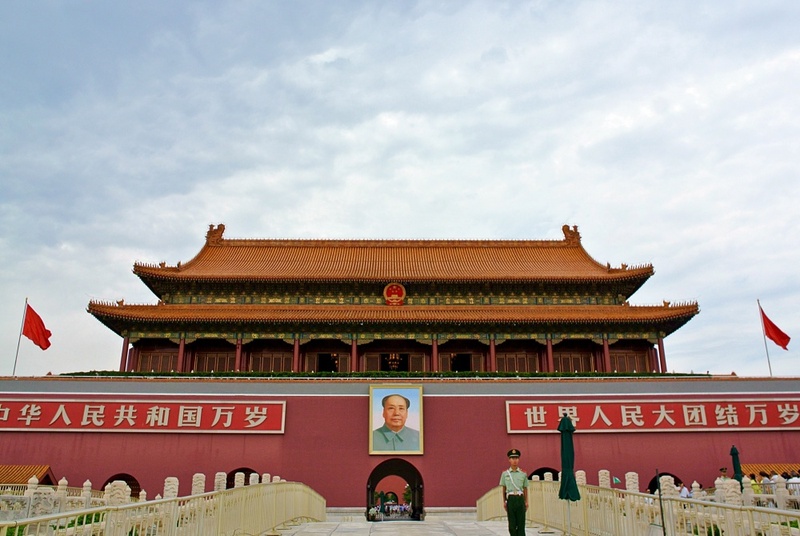 Tiananmen Square and the Forbidden city are located directly opposite from each other. There are two subway stops, one on each end – Tiananmen East and Tiananmen West, both on Line 1. You can take either. Once you exit, just follow the crowd and you’d emerge at the Square’s imposing walls. Guards are stationed along the wall and they look intimidating, however, excited groups of tourists and kite flyers at the Square seemed unperturbed by their presence. Kite flyers pranced around as their kites dance in the air, tour guides wave colourful flags and some even blow resounding whistles to get their group’s attention. It’s quite chaotic and can be overwhelming trying to navigate through the crowd. 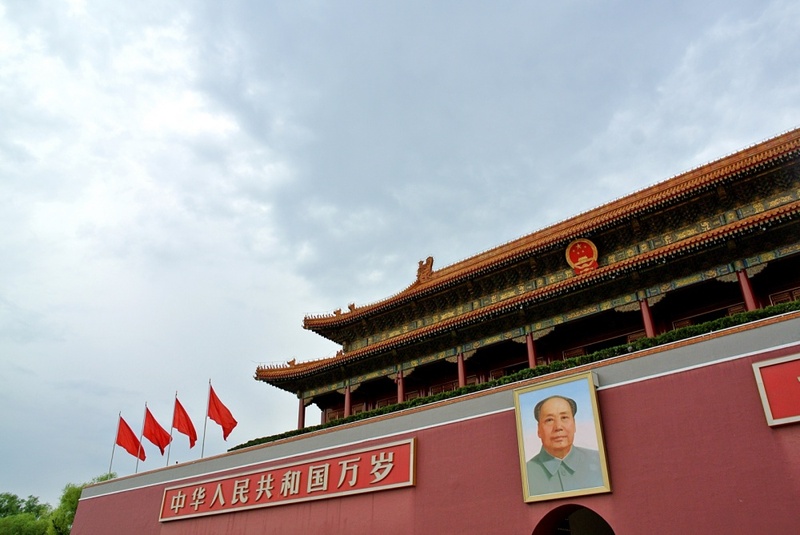 We walked through the arched entrance with Chairman Mao staring right at us from above and into what is known as the Forbidden City. 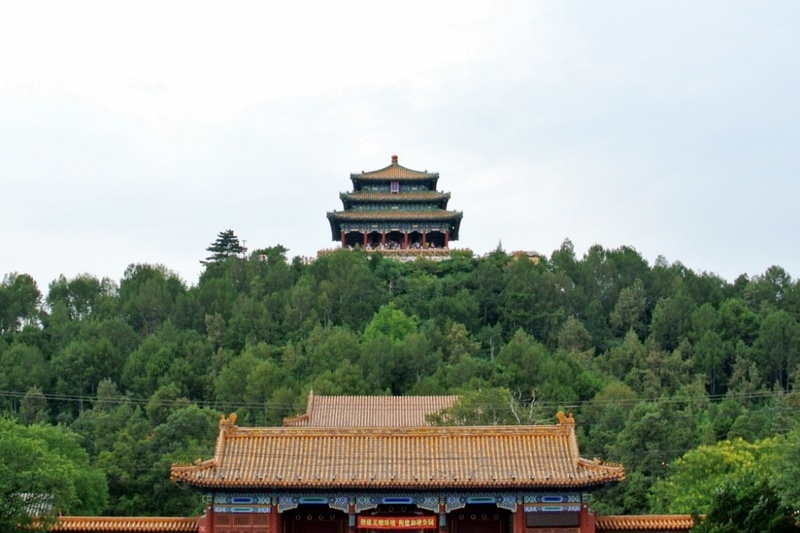 For nearly 500 years, this city (quite literally for its sheer size) have housed the Ming and Qing dynasty emperors up until 1911. 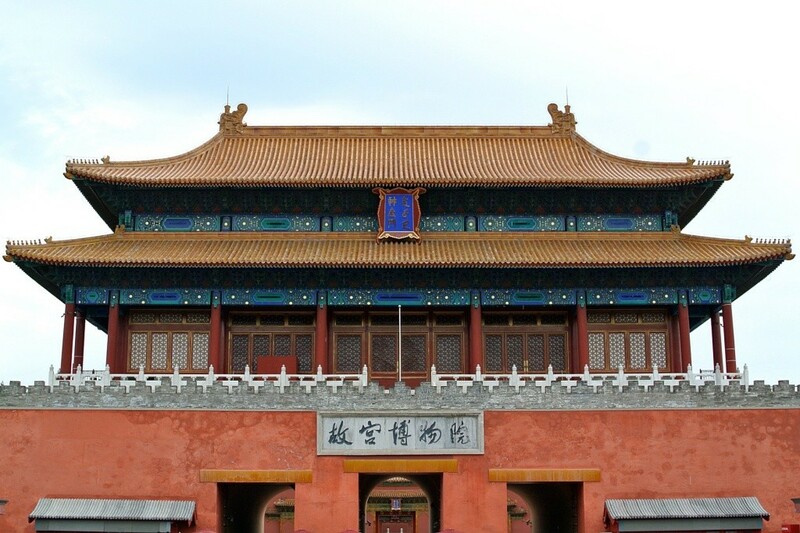 A decade and more after the end of the dynasty, in 1925, the Forbidden City was open to the public and earned its place as a UNESCO World Cultural Heritage Site in 1987. We followed the crowd in and was already spellbound by the size of the compound and beautiful courtyard-style buildings before us. Queues of people were seen on our left and signages read “Tickets” – we stood in one of the many lines and hoped that the wait would not be long. There were easily a few hundred people waiting for tickets – thankfully there were sufficient ticket counters to cater for the crowd. We ended up waiting 45 minutes for our tickets and proceeded in. Security is tight and our bags were scanned prior to entry. Audio guides in various languages are available – but we skipped it as Seth wouldn’t have had the patience to wait for us to complete the whole circuit while someone spoke to us in the ear. We wandered into the City’s compounds. Large uneven stone pavements led us into courtyards and plazas, first into the ‘Outer Court’ where the government and official events took place, then into more intimate spaces like the ‘Inner Court’ where the emperors and their concubines dwelt and then through small doors into a whole new world of beautifully manicured bonsai gardens. It’s incredibly fascinating to imagine what went on behind those wooden latticed doors. How did the emperors get from one place to another? It was too large to wander on foot, at least for an emperor. What secrets were told? How many people were tortured as the emperors were known to have ruled with an iron fist. Marble-stoned bridges connected one plaza to another with shallow waters running past. The complex is a universe on its own – sufficient in every aspect – both spectacular, yet surreal. After hours of walking, little Seth finally dozed off to sleep and we crossed the road and entered into Jingshan Park. 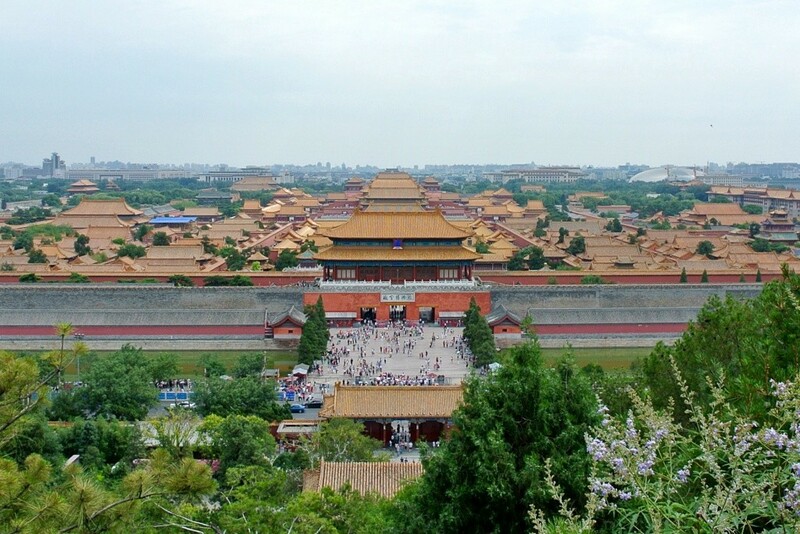 We were told that an uphill climb up to one of its summits would guaranteed a full, clear panoramic view of the entire Forbidden City. The discovery was well worth the sweat. We reached a beautiful temple at the top and looked down at the ancient museum for a different perspective – it’s vast compound continued to bewilder us. 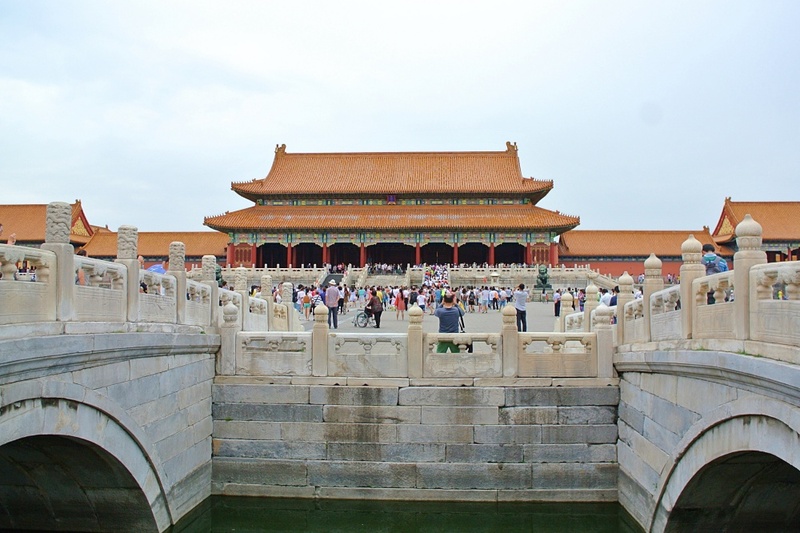 I wondered, what commoners would pay just to get a glimpse into the Forbidden City in the past – as within its City’s walls lie many untold stories, shrouded with mystery.